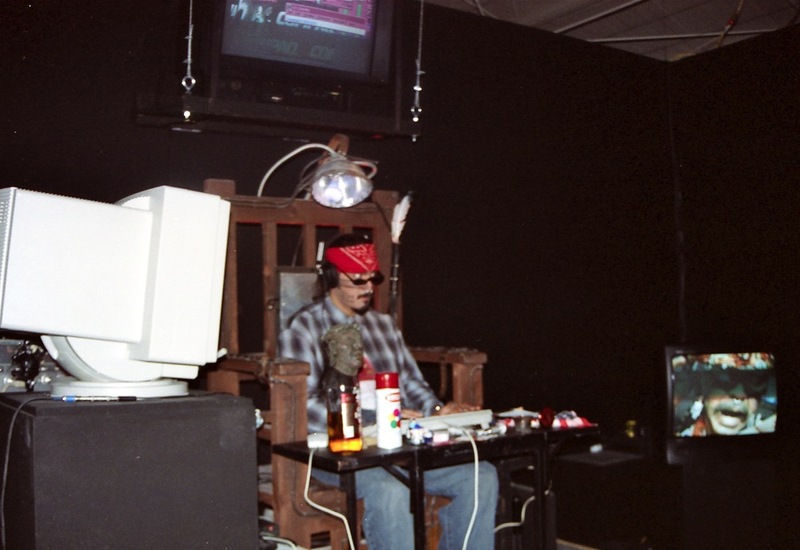 This interactive performance/installation by three nationally-recognized multimedia artists expands on Gómez-Peña and Luna’s The Shame-Man and El Mexican’t at the Smithsonian Country Club (at DiverseWorks) by linking DiverseWorks with two sites, Rice University Art Gallery and Multicultural Education and Counseling through the Arts (MECA) via the Internet. 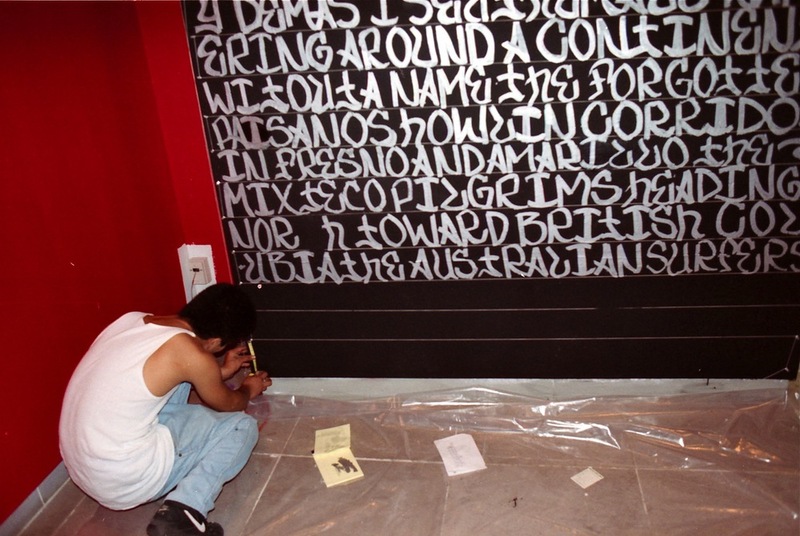 While on display at the DiverseWorks gallery and interacting with the satellite sites, Gómez-Peña and Luna will transform themselves from private to public personae over the course of six days, November 11-16. 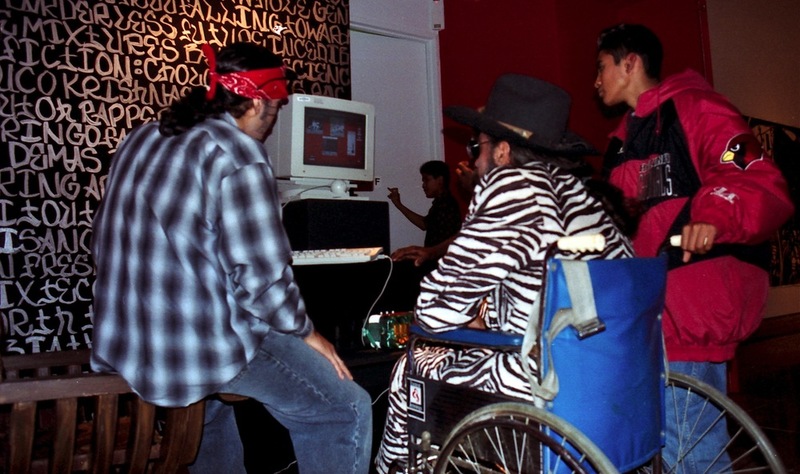 Sifuentes, as the character CyberVato, the Information Superhighway Bandito encased in a Plexiglas box, will extend the installation through Internet access. Viewers at all sites may observe the CyberVato’s world-wide communications on topic ranging from the Chiapas activist movement and affirmative action to NAFTA and academic discourse. 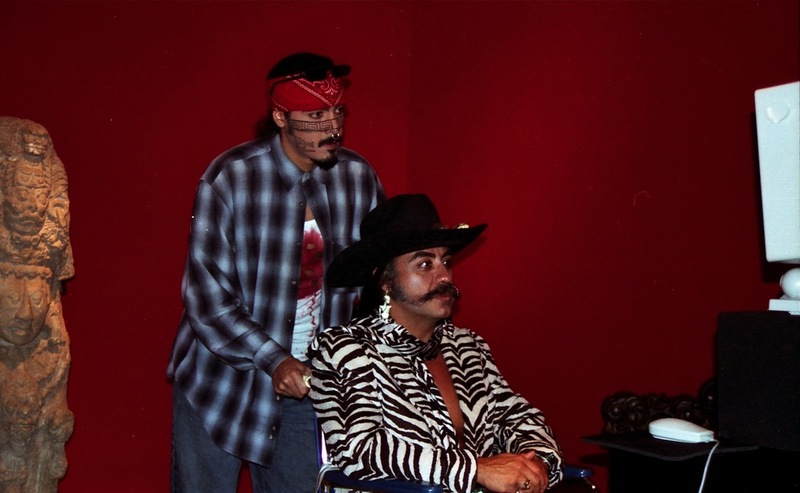 The Shame-Man and El Mexican’t Meet the CyberVato explores issues of cultural identity and stereotypes, while contrasting the intimacy of private ritual with the clamor of the public realm. The work also provides a subtle commentary on the skewed demographic of Internet participation.